Metro grocery stores will be introducing a new 'BYOC' - bring your own container - policy in an effort to combat waste. Starting April 22, the chain will allow its customers to bring their own containers and sealable bags to use on deli meats, fish, and pastries, according to a press release issued Monday. “We want to reduce the use of single-use plastic packaging and our clients do too, they were asking more and more,” said Genevieve Gregoire, communication manager of Metro stores. Some products will be weighed before placement in the customer's containers, while others - like ready-made salads - can be scooped directly in. A label will be affixed to the container prior to checkout. But there are some restrictions, however. According to a Metro spokesperson, containers and zippered bags must be clean and not broken. Glass containers will not be accepted due to handling risks. Zero-waste containers will be available for purchase in-store, but must be washed prior to use. Staff will have to ensure there’s no risk to contamination since they won’t be able to control how well containers have been cleaned. "We will implement a structure to ensure the safety while our employees are handling the product and the containers,” said Gregoire. Signs will instruct customers what they can and cannot use. Brand-name foods with an associated barcode are exempt from this program, due to possible confusion at checkout. The implementation of this new policy comes after a pilot project at three Metro locations - one in Drummondville, one in L'Ancienne-Lorette - near Quebec City - and in Saint-Eustache. Dalhousie University food distribution expert Sylvain Charlebois said Metro is following customer demand. “This is probably the number one issue, number one concern, that consumers have right now – the use of plastics in the grocery stores, in the food industry. So metro is trying to do its part,” he said. Many smaller stores have already adopted the practice, usually for bulk items. Metro’s main competitor IGA already has its own alternative single-use plastic program in place, while the Provigo chain prefers to wait until there's a safe mechanism to ensure the food idoesn't get contaminated in containers brought from home. The zero-waste alternative is also unavailable at Super C, which is owned by Metro. Metro's announcement was welcomed by the administrator of a zero-waste advocacy group, who says its proof that companies are listening to consumers who are increasingly demanding eco-friendly options. "As consumers, we have more power than we believe," said Audrey Mougenot of the Montreal-based Association Quebecoise Zero Dechet. "It's up to us to ask companies and producers to give us the service we want." 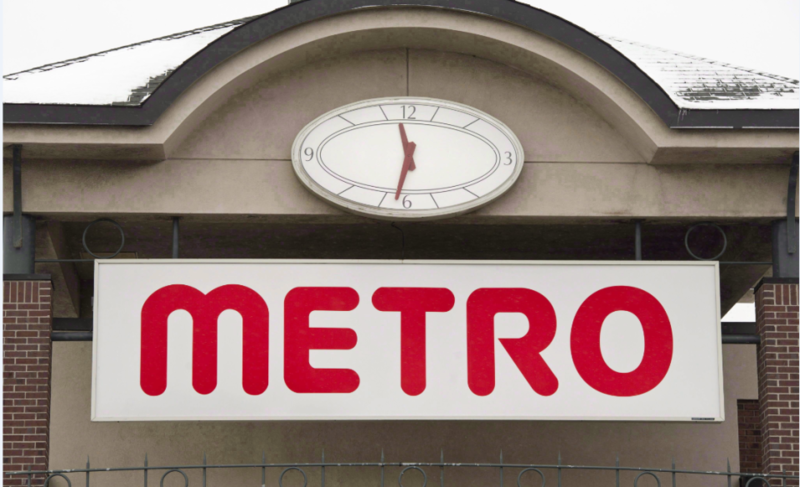 She said Metro's service will be especially important in rural areas, where customers may not have access to a bulk or zero-waste grocery store.